This is a BEAUTIFUL English Art Nouveau design. Unsure of exact maker. It is a 6" tile. Condition is good please see image for details. The color combination & natural crazing is beautiful. 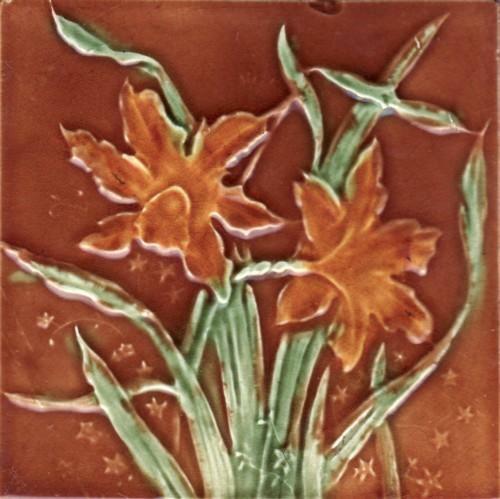 Items Similar To "Art Nouveau Tile"